The "historic changes" announced late yesterday by the Centers for Medicare & Medicaid Services, promising big adjustments to its policies around the Physician Fee Schedule and the Quality Payment Program, already have the healthcare industry talking. CMS says it wants to incentivize the use of and access to virtual care and telehealth, to ease the quality reporting burden on physicians by focusing on the most important and impactful measures. It also wants to spur better information sharing among healthcare providers, regardless of what electronic health record vendor they happen to use. Part of the way it plans to do this: making changes to the MIPS "Promoting Interoperability" performance category to better encourage interoperability and patient access, and aligning it with a similar program for hospitals. 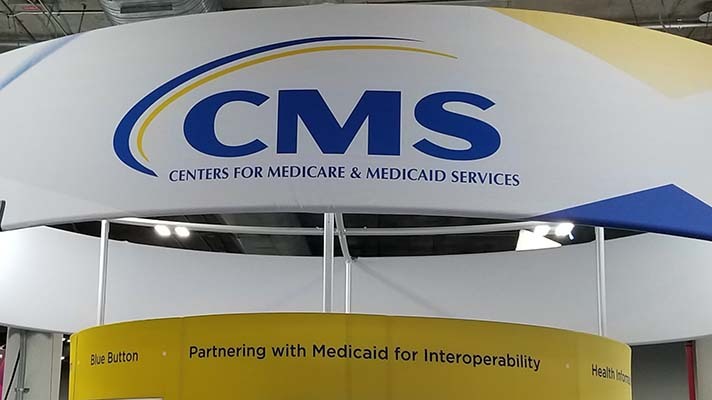 "CMS notes that these proposals will modernize Medicare payment policies to promote access to virtual care, saving Medicare beneficiaries time and money while improving their access to high-quality services no matter where they live," HIMSS said. Soon after the announcement on Thursday, the Office of the National Coordinator for Health IT immediately put its support behind the CMS proposed rule, with ONC chief Don Rucker, MD, noting that Physician Fee Schedule changes would be a "historic shift in the documentation requirements associated with clinician office-based evaluation and management visits for Medicare," helping reduce administrative burdens and allowing physicians to spend more time with their patients." Rucker also said the new rules would encourage "more efficient, effective use of electronic health records in clinicians’ offices, improving the workflows needed to support patient-centered care instead of a focus on meeting billing documentation requirements." And he said the new proposal would "help shift the nation’s electronic documentation away from overly long, form-driven, hard-to-read documents written primarily to satisfy billing requirements to what it was originally intended for – providing high-quality care to patients." Other industry groups also liked that the new rules would help ease physician busywork. Premier, for instance, praised CMS' efforts to "alleviate unproductive clinician burden," especially a streamlining of the Medicare Shared Savings Program reporting measures to "focus more on patient outcomes and satisfaction." The provisions for EHRs and data exchange were also a hit with Premier, said Senior Vice President of Public Affairs Blair Childs. As a longtime advocate for interoperability standards, Premier "strongly support proposals that support electronic health record interoperability and patient access to health information, as well as alignment with other interoperability requirements for hospitals," he said. "With this provision, we will take another step forward in our efforts to unlock healthcare data, optimize HIT investments and improve the quality of care across settings." But other organizations weren't so bullish on the new proposals. The Medical Group Management Association, for instance, said it was "disappointed" that CMS would continue with full-year MIPS quality reporting, rather than the 90-days reporting that had been asked for by many. "Reducing the reporting burden would allow more physicians to participate in MIPS and focus the program on rewarding quality care rather than quality reporting," said Anders Gilberg, MGMA's senior vice president of government affairs. "Requiring medical groups to submit excessive amounts of data to the government has little impact on the quality of care delivered to Medicare beneficiaries." Moreover, he took issue with the fact that the rules would require physicians to "deploy costly EHR upgrades for 2019 and takes further steps toward implementing burdensome appropriate use criteria. At first glance, the rule doesn’t meet MGMA’s definition of administrative simplification." Meanwhile, the American Medical Group Association said it too was disappointed by the proposed rules' high MIPS exclusion threshold and called them a "missed opportunity" to encourage value-based reimbursement. "AMGA members will continue to work to provide superior quality care to their patients," said Jerry Penso, MD, president and CEO of AMGA. "We are concerned that CMS has again opted not to recognize the efforts of high-performing AMGA members. As we enter the program’s third year, it is time for CMS to honor congressional intent and use MIPS to create value for Medicare."